Clearly communicate project specifications to all team members in seconds. Managing multiple projects has never been easier with Communifire, which can be customized to meet the unique needs of your business. Use built-in task management to create, edit, assign, and track tasks or project phases. Take the guesswork out of project management with Communifire. Are there inconsistencies in your company's service or product quality? Are you looking for a way to streamline business processes without threatening the bottom line? Take control of your business' future now before it's too late. Save money, time, and resources when choosing Communifire as your company's all-in-one communication solution. Securely hosted in the cloud, Communifire's powerful project management system brings teams together and makes collaboration fun. Eliminate unnecessary processes and repetitive tasks within our platform, which is designed to grow along with your business while encouraging users to build rapport regardless of location or device. Prevent project delays, undelivered updates, and unclear directions when channeling process management in the cloud. Because Communifire's platform features a familiar social interface and user-friendly tools, employees have the tools needed to streamline workflows and enhance efficiency. Whether distributing project instructions or training new team members, Communifire allows you to publish virtual databases, like Wiki pages and video, to make learning new information easy. Link related documents, conversations, and pages using tags, which instantly retrieves matching results in Smart Search. Create a project management system that works for everyone when using Communifire as your solution. Because our software is designed to enhance productivity and efficiency, employees are able to customize work flows to match individual preferences without leaving the platform. Use the included task management function to easily create, assign, and track goals. Manage employee schedules, team meetings, and company events conveniently using Communifire's shared calendar. 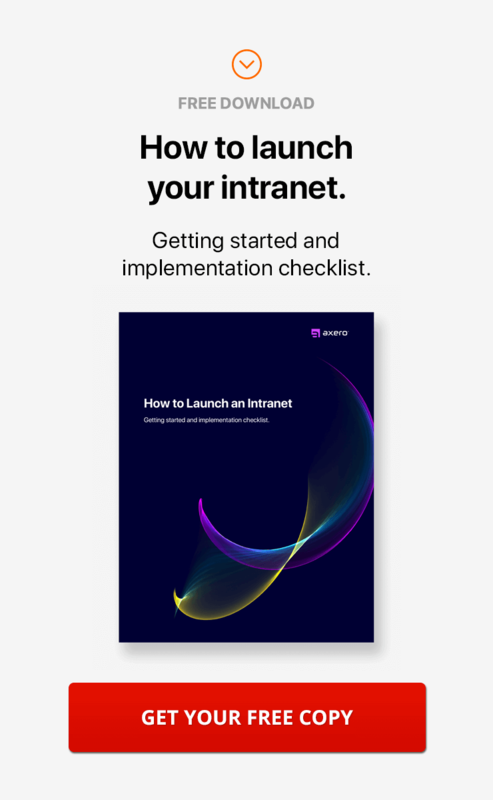 Particularly helpful for resolving staffing concerns among remote team members, the calendar can also be used to distribute meeting materials, post agendas, or upload related visual content, such as images or video. Establish a productive space for brainstorming using Ideation, which is designed to promote the sharing of ideas prior to a project's launch. Invite both internal and external stakeholders to collaborate, upload files, and approve ideas before officially launching a project. When everyone is on the same page in the Ideation stage, projects can be started and finished in record time. Make communication simple and fun when using Communifire's project management system as a social intranet. Leave comments on discussion forums, work spaces, or files, or simply show support for an idea by Liking a post. Invite others to weigh-in on an issue or provide feedback by using @mentions, which instantly notifies them of the invite. Use #hashtags and tags to make posts, documents, and conversations easily discoverable in Smart Search. When using a #hashtag in conjunction with project-specific conversations, searching for the specific term makes researching contextual communication instant.